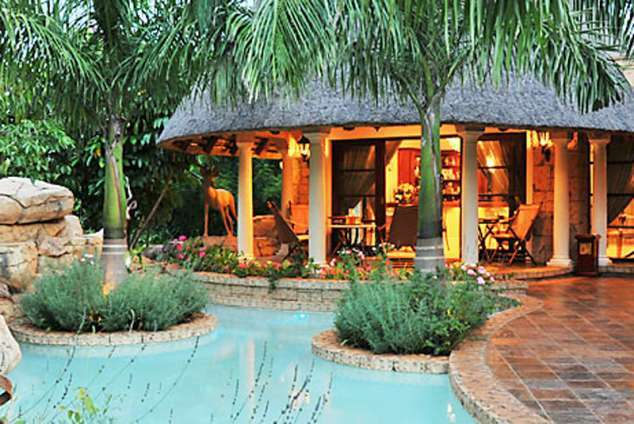 Summerfield Botanical Garden Hotel - Manzini Accommodation. This exclusive, award-winning luxury boutique Hotel is located in the picturesque and tranquil Summerfield Botanical Garden. It's close proximity to the Kingdom's main tourism attractions, shopping and business centres make this undoubtedly the finest accommodation option in the country. Summerfield offers guests a luxurious retreat where they can relax and immerse themselves in an exquisitely gracious atmosphere. Our accommodation options truly epitomise contemporary classic elegance combined with exceptional, discreetly personalised attention to detail. In this lush haven of peace and tranquillity, amidst hectares of gently undulating landscaped gardens, your pleasure and privacy are as respected as the environment, where all you are likely to hear is birdsong over the breeze and where relaxation requires no conscious effort at all. A seductive blend of luxury and cosy intimacy, the soothing melodies of the African night sounds will lull you into peaceful sleep. The luxury and indulgent amenities are a seduction truly hard to resist. "It is as relaxing as staying with a cherished old friend"
With 4 accommodation options to choose from, each room expresses its own character and features stunning views over the botanical gardens. Sumptuously furnished in a chic, sophisticated style, supremely comfortable and ultimately elegant, the sunlight, space, scents and peace that flood each room gives a unique ambience. Our Resort features the delightful Red Feather Pool Bar and the casually sophisticated Summer Terrace Bistro. Situated next to the multi level swimming pool, guests have the luxury of choice for their poolside refreshments. Slightly more formal dining and cocktail options are available in the Grand Palm Cascades area. Enjoy a cocktail in the delicate privacy of our waterside Gazebos or lounge in the cool shade of the Grand Pavilion. Treat yourself to an elegant meal in the Palm Cascades Restaurant or relax in the Leopard Billiard Lounge or our Private Dining room. Whatever your desires, we have a very special venue with breathtaking views and delicious details to enhance your Summerfield experience! 7961 page views since 31 Oct, 2014.